One trip I’ve wanted to make for a while now has been a trip down to Felt HQ in Irvine. 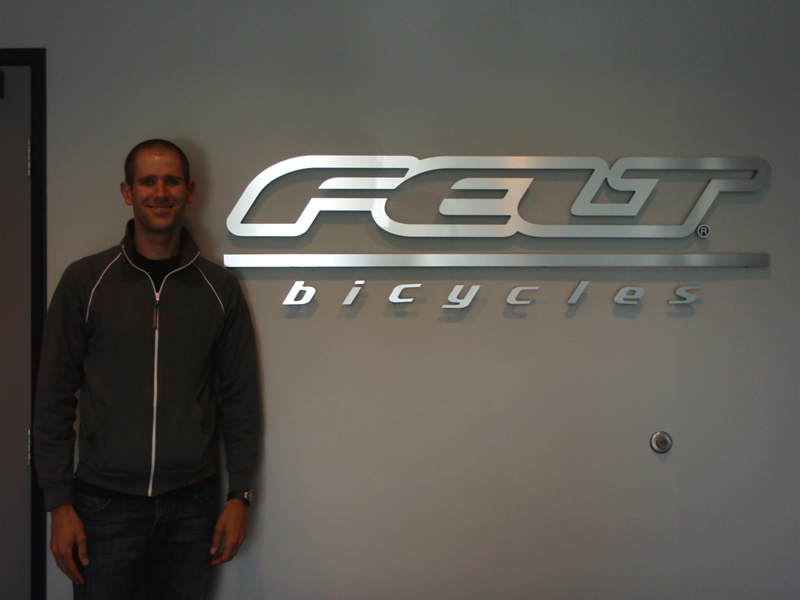 Felt has provided me with some amazing bikes, and I’ve gotten to know some of the folks there over email, but there’s still no substitute for meeting people face to face. Here I am in the lobby. 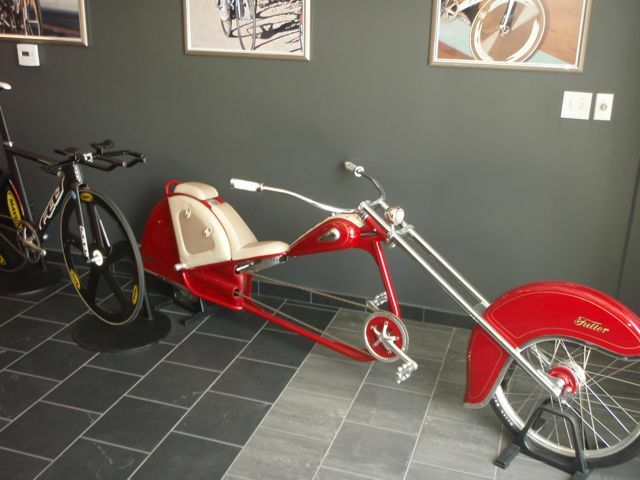 No question about what bikes are designed here. So that’s pretty much all I can show you pictures of. I got to see some of the secret stuff. And I got to meet the engineers behind the bikes, the artists behind the graphics (Felt does all their own graphics), and the folks who get the bikes from A to B. It’s a really neat company, and one I’m very excited to be involved with. They are definitely not resting on their laurels. I almost with it was ’09, or ’10 already!! 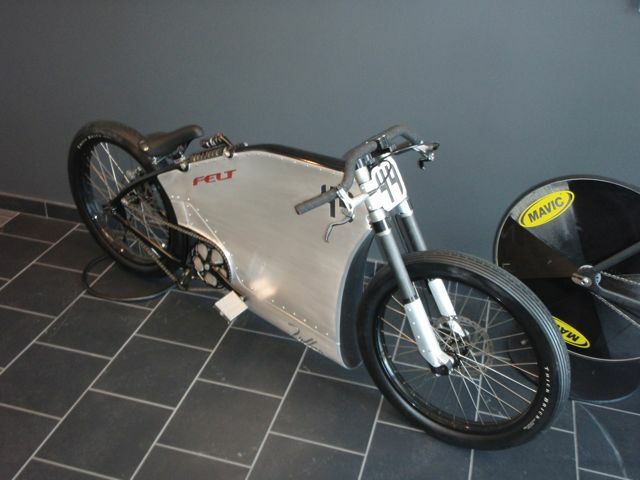 For more on the bikes and the company, check out Felt’s website — www.FeltRacing.com (don’t forget to look at the “Athletes” section! ).